The castle of Versailles, whose origins date back to the 17th century, covers 800 hectares and the estate has extraordinary gardens and parks. In summer, the castle organizes a large number of events, which are worth seeing. From June 16 to September 15, 2018, every Saturday evening during this period, you can enjoy a 2h30 night walk in the sumptuous gardens of the castle, or even, parks and fountains will offer you wonderful illuminated surprises. The evening will end in beauty, with magnificent fireworks, not to be missed! Just before that, you can enjoy the royal serenade of the Hall of Mirrors. It is a 40 minute tour of the Sun King’s apartments, at sunset, in privileged conditions in the company of baroque dancers and musicians, crossing the vestibule of the royal chapel, the Hercules salon and the Hall of Mirrors. The audience is treated to scenes full of surprises, such as sword fights, dances or religious songs. You will be in ideal conditions to imagine the time of the XVII ème century. Versailles is close to Paris, so this is the opportunity for you to combine the shows at the Château de Versailles with a visit to the beautiful capital. If you have never visited Paris, you will be amazed by all the beauty it has to offer. Its museums are unique, its gardens wonderful, and it is the occasion for you to discover also its unique architecture, its unusual monuments and of course, the very famous French cuisine in the best French gastronomic restaurants. 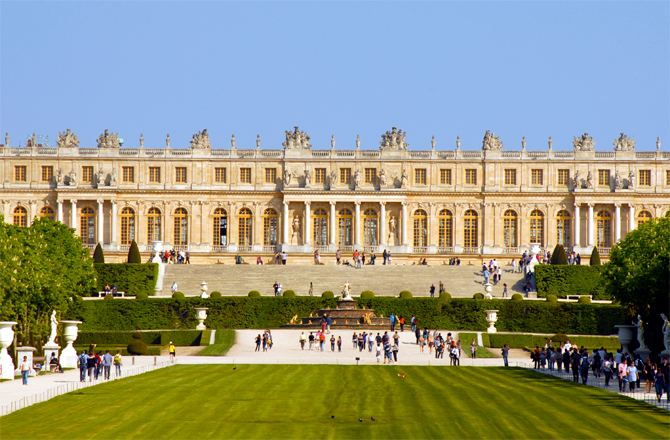 Internationally renowned for its beautiful gardens and palaces, Versailles is a wonderful city. Castle of Versailles is the most popular attraction in Europe. It has been an epitome of luxury for centuries.Seeing the castle in reality is a jaw- dropping experience and shelling out a day ticket to see the interior of the palace is worth spending. To see Versailles in its greatest beauty, go to France Visa, apply for a visa online for France and spend a magical holiday.